The 280-F allows automated fry dispensing from a frozen cabinet which will help lower your costs by reducing the amount of spillage and breakage through the automated dispensing system. The RAM 200-Fx dispenses frozen fries. This ensures that the fries are cooked from frozen resulting in improved product quality, consistency and yield. We offer 24 hours a day, 7 days a week, live technical support through our worldwide trained service agents. Contact one of our trained experts by calling 1-800-248-2724. Portion Plus: Perfect for snack food, salad and dessert bar items. Our products are agency approved, worldwide! 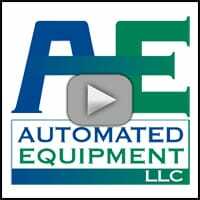 Thank you for visiting Automated Equipment LLC. 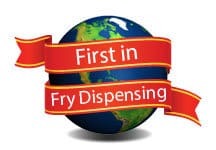 We pride ourselves on being high quality suppliers of frozen french fry dispensers and providing our clients with exceptional products and remarkable service! Located in Red Wing, MN, just outside of Minneapolis, we serve clients across the globe. Automated Equipment has the most reliable, safe and user-friendly equipment for restaurants. 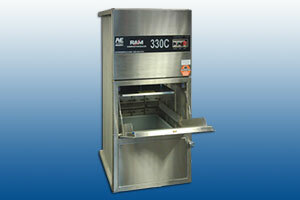 We are proud to have developed the first automated fry dispensing equipment. We continue to strive to bring you the best products in the industry. All of our products are agency approved worldwide, making our customers among the world’s leading quick service chains. Our products are made with accurate portion controls helping you save money by reducing the amount of spillage and breakage through the automated dispensing system. At Automated Equipment, we’re dedicated to customer service. We know that you can’t take a day off, so we don’t either. Our knowledgeable staff members are available 24/7 to assist if the need arises. We also offer all the necessary replacement parts should your equipment encounter issues. For more information on our products, contact Automated Equipment LLC, the frozen french fry dispenser source that food industry experts trust. Automated Equipment has the most reliable and user friendly products in the industry, which is why it is used by the world's leading quick service chains. 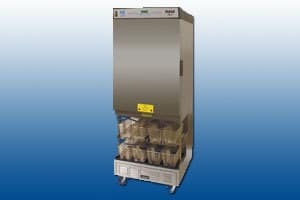 Our products such as the 280-F and 200-Fx french fry dispensers, are made with accurate portion controls helping you lower costs by reducing the amount of spillage and breakage through the automated dispensing system. Are you spending too much on trash removal? The RAM 330-C will reduce your monthly waste removal expenses up to 50%, reduce the number of trips you make to the dumpster, reduce waste truck emissions by up to 50% and eliminate piles of waste in your facility. Automated Equipment has 24 hours a day, 7 days a week, live technical support through our worldwide trained service agents. 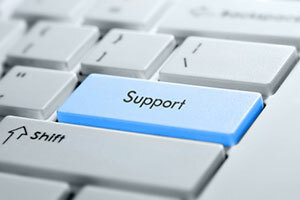 If at any time you need technical support, contact one of our experts by calling 1-800-248-2724.